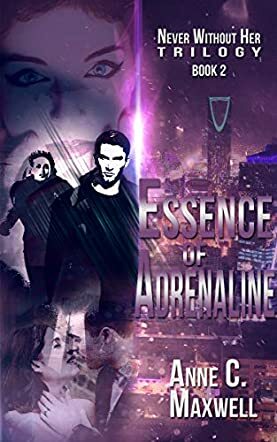 Essence of Adrenaline by Anne C Maxwell is the story of Elena and Omar. Elena is an ex-MI6 agent while Omar is the CEO of a successful bank. While the two of them are very different from each other, they fell in love and now they are determined to make it work. To strengthen their relationship, they decide to take a vacation on a yacht. While on vacation, they come across another yacht of a corrupt politician. Soon Elena and Omar realize there is more to the story than at first glance. Before they even realize it, they are roped into dangerous situations that they need to fight against to escape. Can they survive this danger? Can they fight it off and remain safe? Essence of Adrenaline by Anne C Maxwell is the second novel in the series Never Without Her. Colorful and descriptive, the novel had me reading and entertained for a long time. I took my time reading it; I wanted to digest every sentence and wanted to delve deep into the minds of the characters. I enjoyed both main characters. Elena and Omar are both very different, yet they fit together perfectly and complement each other. They tried to make it work for each other, tried to understand each other, which made their relationship very enjoyable. The story is rather intense, which kept the momentum going and made me want to read more. I wanted to know more about Elena and Omar; I wanted to see what they did and how they tackled problems. I enjoyed how they stuck together, even when they were arguing and disagreeing with each other. They are partners who appreciated each other and the author did an amazing job at portraying their relationship.